Alpine Touring is like a combination of cross-country and downhill skiing. For our Alpine Touring Program, we use the latest Volkl alpine touring skis with purpose-built Marker alpine touring bindings. On the way out into the side-country and walking up slopes, the skis and bindings work a bit like cross-country skis, where you have the heels of your ski boots free and can walk in a striding manner. We also provide special climbing skins which you can fit to the base of your skis to walk uphill, they slide forward and then grip to prevent you sliding backward. And when you want to go downhill, you can set the bindings in a fixed heel position, more like normal alpine bindings, and ski making normal downhill turns. You can get fit on the way out and the way up and have a lot of fun on the way down. 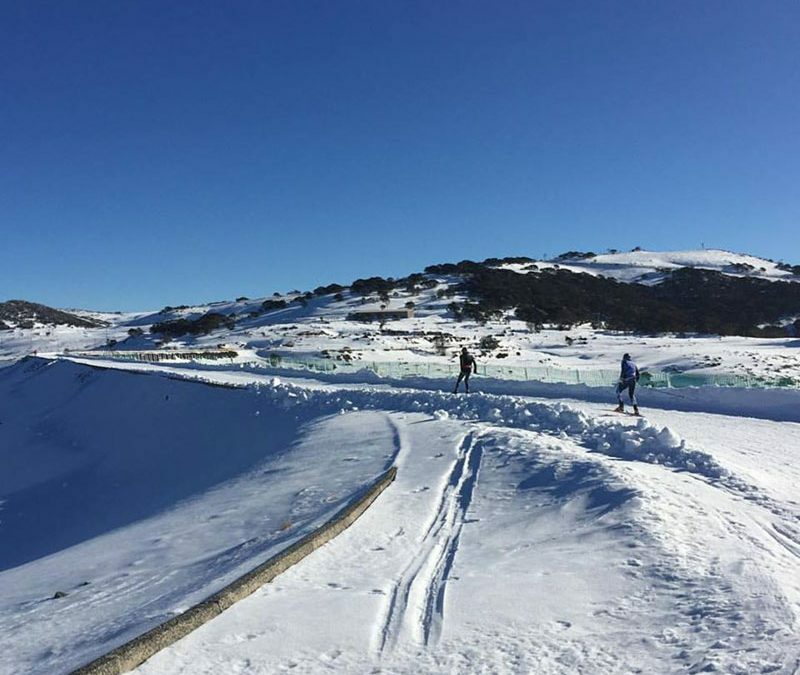 Best of all, you also get to discover and enjoy more of the skiable terrain on offer in and around Falls Creek. Our expert instructors will not only teach you how to use alpine touring skis, skins and bindings, they are also the ultimate guides to Falls Creek’s side-country, they know all the best un-lifted terrain, and will help you find fresh tracks, hidden powder pockets and the most enjoyable slopes to ski in any given conditions. Join the program, get the knowledge and explore our un-lifted terrain with endless untracked runs just waiting to be found.